Sharing our thoughts on the state of the world! Coal is formed from plant matter deposited in anoxic conditions, such as in swamps or deltas. Most of the coal found today is from the carboniferous period; plant matter created about 255 million years ago. As coal takes so long to form, coal is a limited resource and with the rate of extraction is far greater than the rate of replenishment, one that won’t be around for long. There are four sub-types within the “coal” family. Progressing from the lowest quality to the highest, each step has fewer volatiles, such as hydrogen, oxygen and ash, and increased carbon percentage. The first useable grade of coal is peat with about 52% carbon content and 48% volatiles. Lignite is the next step in coalification. Unusable in factories and home use; it contains about 66% carbon and 34% volatiles. Bituminous coal is used in factories as it is cheaper than the highest grade of coal and contains about 83% carbon and 17% volatiles. Anthracite, the highest grade, contains about 93% carbon and 7% volatiles; anthracite is the most expensive of the coals but burns the longest given its high carbon content. There are two types of coal mining, open cast and underground. Open cast mining is only done if the coal seam is 0-200m deep. Over lying rock and removed by placing explosives in the rock to ‘loosen’ it. An excavator scrapes the coalseam off and its then taken to a factory for processing. The rock that was removed to expose the coal seam is then placed back in the mine and compacted. However, since the terrain has now been disturbed, it allows rainwater to percolate through the pore space, leaching toxic materials into rivers and streams nearby. However, the devastating effects that open cast mining has on the local and surrounding environment goes beyond water contamination since it destroys natural habitats, causes pollution levels to rise and generates high quantities of atmospheric dust that damages human health. Underground mining is carried out when the coal seam is deeper than 200m and is far more expensive than opencast mining. One of the more common underground mining techniques is long-wall mining when layers of coal are removed horizontally along the seam. This process is slow and often results in subsidence due to the hollowing out of the earth below above. While companies use hydraulic supports to limit subsidence while the mine is producing, once its no longer profitable and all the coal has been extracted, they often remove the supports causing the land above to collapse. This collapse allows rock strata to mix and allows water to percolate through picking up toxins and entering the water table, which can lead to contamination of the water supply. Once the epitome of glamor and movie stars, Los Angeles, California is now finding itself in a fight to remain the Golden State. 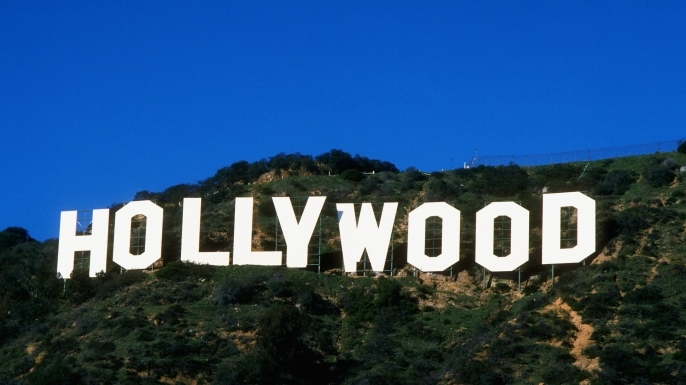 Hollywood has lost its shine, and it is because of money. Since 2002, more and more producers have up and left Hollywood, moving to states and countries that are more welcoming to them and their staff. It all started in New Mexico, when the government announced its lucrative new program of filmmaker subsidies. Filmmakers now faced the potential to have tax credits and interest free loans just for making their film in New Mexico. By 2009, up to 43 states decided to do the same, and amped up their subsidies programs all to remain competitive. With today’s technology and imagination, films no longer need to be produced in the state in which the plot surrounds, it can be created at any place at any time. Cost and not accuracy are driving location choices. For many, this seems like an appealing investment for local governments. States lacking in money from tourism see this as a way to stay competitive with other states.The hit show “Breaking Bad” put New Mexico on the map and in turn, brought a huge money flow into the state from the amount of people who wished to visit the filming sites. But these subsidies are undermining community as the true role of government subsidies is forgotten. Subsidies are designed to help companies to bring a lasting positive change to an area. They encourage and support businesses to employ local residents, boosting the local economy. Productions do not. Yes, films bring glamour and celebrity. But once the incentives run out, these big production companies up and leave. They have no community ties and no obligation towards the community to help sustain it. While the film industry creates jobs at the start for locals as help or extras, those jobs extremely inconsistent and tend not to last beyond the wrap. Michigan State Senator Jud Gilbert believes that the film subsidies in Michigan could be better used by the car industry, where a 42% rebate (the same amount as the film subsidy) could lift the industry out of its current crisis. But the solution is not necessarily big firms and big corporations. Governments forget about local businesses and how much “local” can bring to an economy. According to Michael H. Shuman “The Local Economy Solution,” the main source of job creation is small/ medium businesses and start-ups. It does not take much for these smaller, local companies to have a lasting effect on the local economy since they bring in money and jobs. Small businesses spread their ideas and best practices to other local businesses and help the others flourish. Thus, they bring more profit to the community; both economically and socially. Hollywood subsidies of today are no longer living up to the expectations that governments assumed and politicians are beginning to see that the benefits of these subsidies are not outweighing the costs. In order for states to see longer lasting effects to their economies, a focus on smaller business is needed instead. With new technology, mining rare minerals from the ocean floor has become a reality. Corporations consider the ocean floor to be at their disposal and plan to extract precious resources without second thought. Extensive deep sea mineral exploration is currently underway in international waters with the approval of the governing International Seabed Authority, an intergovernmental body that regulates all mineral-related activities in the international seabed area beyond the limits of national jurisdiction. One of the main motivators for mining companies is the extraction of phosphorus. Phosphorus is a highly-prized chemcial due phosphate-based chemical fertilizers, which have been used in agriculture around the world since the “Green Revolution”. With more and more farmers employing the chemical on their fields to drive up yields, the demand for the component chemical increases. Many land-based reserves of phosphorous have been exhausted, which has led chemical companies to look to the ocean for a new supply. That isn’t to say that the task of mining is easy. The logistics are a nightmare. In order to drill into the seafloor, equipment, similarly to that used in offshore oil and gas companies, dig into the bed and lift up materials to the water’s edge with conveyor belts. This type of invasive mining process damages the complex and delicate ecosystem that lives deep below the waters. The movement of equipment drags up the terrain and leaves behind pathways. The machinery tracks gouge deep into the earth and potentially see toxins being released into the water. 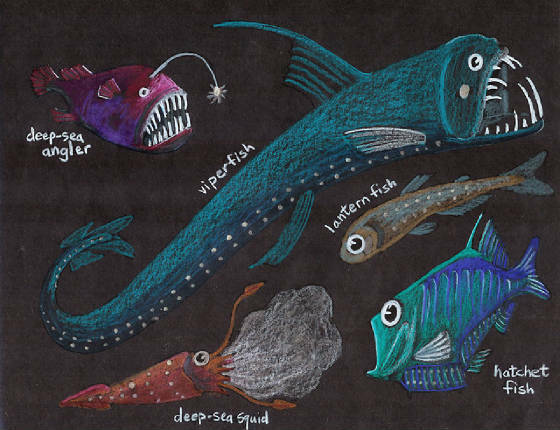 A loss of biodiversity will almost inevitably result for deep-sea mining. Silt and discarded matter would damage the Benthic layer and destroy the fragile organisms living there. Undersea noise would damage sonar systems of larger marine mammals and loss of habitats would have a devastating effect. Once disturbed, it is unknown how long the marine ecosystem will take to recover. Because of the water depth and cold temperatures, restoring it will be no easy feat for conservationists if it becomes destroyed in the mining process. Consequently, regulations must be put in place immediately by the International Seabed Authority to give mining companies clear instructions of good (or at least acceptable) practices. The pristine areas of virgin ocean-bed need to be avoided completely and, in areas that could be opened for mining, direct equipment pathways should be set to minimize damage with strict regulatory assessments and high penalties for non-compliance. The first Deep Sea Mining (DSM) project is likely to occur by Nautilus Minerals Inc, the first company to commercially explore the seafloor for massive sulphide systems. Nautilus’ copper-gold project, Solwara 1, is under development in the territorial waters of Papua New Guinea. 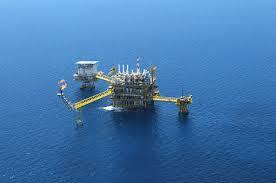 “Out of Our Depth” opposes the project and has been fighting to stop the destruction of the seabed. An association of NGOs and citizens from the region, they are concerned about the likely impacts of DSM on marine and coastal ecosystems and communities and are trying to raise awareness of the issue before its too late. EESI recently examined the many problems and potential solutions to irrigation in the Midwest and the agricultural practices that create runoff water, which infiltrates the Mississippi River and runs down into the Gulf. This issue will come into the fore with the next iteration of the Farm Bill Act and, in preparation, EESI explored the efforts of local government to address the issue directly and immediately. In Iowa, the Clean Water Act requires substantial reform since currently does not include agricultural storm water discharge. This oversight poses an ever-growing problem for the local water companies of Des Moines who incur high costs for the nitrate removal of nitrates to make the water safe to drink. It is therefore essential to provide financial and technical assistance to farmers and local communities to reduce nutrient loads and peak flow runoff and conduct outreach activities with landowners and producers about watersheds to increase public awareness. While Illinois is planning to coordinate with local farmers to reduce nitrate usage and runoff by 15% by 2025. Strategies to achieve this include nitrification inhibitors, cover crops, buffers on all applicable lands and usage of bioreactors. Promoting the use of cover crops will have a lasting impact not just by reducing water run off, but will also protect the health of the soil and sequester carbon. In Ohio, not only is there a problem with the run-off in the Mississippi River, but there is also a problem with the water drainage into the Great Lakes. Phosphorus runoff, causing cyanobacteria in the water, turns the water green and makes it unfit for human consumption. The state has restricted nutrient application to the saturated lands close to the Lake Erie basin in hopes of creating less runoff and has also required statewide training for farmers on the proper application of fertilizers. To help with this awareness, apps were designed to help farmers monitor their fields and make sure that they are within the working limits of the laws. The 2015 World Expo in Milan saw a total of 21.5 visitors from around the world and 140 participating countries. Based on the theme of “Feeding the Planet, Energy for Life” the Expo launched a “Food is Life” campaign to draw attention to the many meanings of food to different people. Food, they believed, was a substance that people worked for, fought for, and argued for. Despite being the essential component to life, it has come to represent the disparity of global wealth; still too many people are starving while others consume and waste vast quantities of food. This expo worked towards helping people make conscious political choices, develop sustainable lifestyles, and understand the best technology to create a balance between the availability and the consumption of resources. 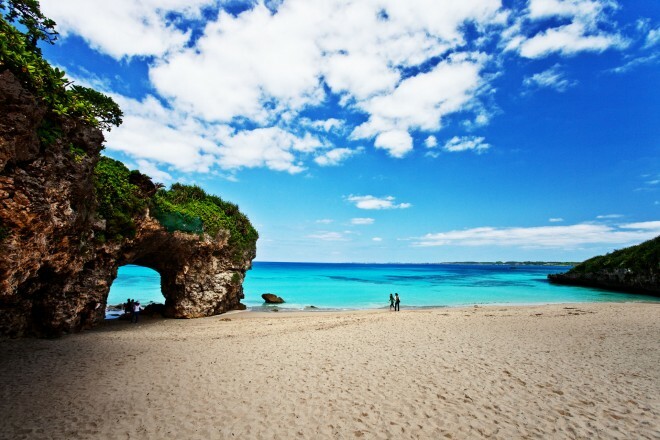 The island prefecture of Okinawa in Japan is home to the Futenma U.S. Military Base. Its located in the middle of the urban of Ginowan, a somewhat problematic location since large aircrafts are constantly coming and going and consequently need to negotiate passed high-rise buildings and densely populated landscapes. It is because of these issues that the U.S. and Japanese people are considering a new base in the more rural Henoko area of the island. However, this consideration has been met with strong opposition from the Okinawan people. Henoko is one of few examples of pristine terrain still remaining on the island that has not been harmed by urban development nor any of the dozens of other military bases on the island already. Central to the protests is the desire for the Okinawan people should control their own land and not have decisions imposed on them by Tokyo’s central government. They question Prime Minister Abe’s motivations, believing him to be prioritizing Japanese-U.S.relations over the interests of his people. However, the potential environmental damage is also a considerable factor with many worrying about the biodiversity implications of the military base; an understandable fear given the noise and air pollution already resulting from the other island bases. Okinawans are unwilling to incur more environmental damage to their island from what they perceive as an unnecessary expansion of the US military presence. The potential environmental damage that building a new base could cause is particularly devastating given the proximity of the proposed site to Oura Bay. The bay is home to hundreds of species of sea life, and is recognized by scientists as one of the most intact and healthy biodiversity sites in East Asia. Most importantly, it is home to the dugong, a manatee-like marine mammal that is classified as vulnerable and whose numbers a rapidly declining. Pollution to the bay would harm all the marine species, but would be particularly damaging to the dugong population and could drive it to extinction. Foundation Earth attended a lecture at Brookings Institute on the new World Bank publication “The Challenges of Stability and Security in West Africa”. The study had been commissioned by the World Bank’s Fragility, Conflict and Violence Group to consider the multiplicity of factors that need to be address to establish and maintain peace in the region. The chief conclusion was that security is primarily an issue of development and that the World Bank’s current focus on poverty reduction is insufficient. Going forward, MDBs need to focus on stability as a core concern because by stabilizing the region, politically and economically, the potential for crime, radicalization and violence decreases. When livelihoods are insecure or when resources are limited then people turn to other alternatives to feed their families. Addressing land issues are central to establishing this much needed stability. In the 1990s, extractives were the primary cause of conflict in the region but now land management is at the heart of the majority of community grievances. These tensions are being exacerbated by climate change since arable land is decreasing as desertification and soil erosion continue. Lake Chad was given as an example of the impact that climate change can have on regional violence. The Lake has decreased by 90% from 1963 levels and has destabilized the communities around its shores since food industries (fishing and agriculture) have similarly declined. This environmental damage has led to a corresponding erosion in community connections. Symptomatic of this decreased cohesion is the rise in drug trafficking, of Islamic State extremism and of economic migration; all of which act to exacerbate the other, creating a self-perpetuation cycle. The talk itself was fascinating and only emphasizes the potential to connect agroecological practices with increased state security. By empowering smallholder farmers, increasing youth/female employment and supporting and protecting local ecosystems, communities can be strengthened and stabilized. The result of this would be an innovative and holistic approach to tackling the immediate and devastating rise of violence in the region. 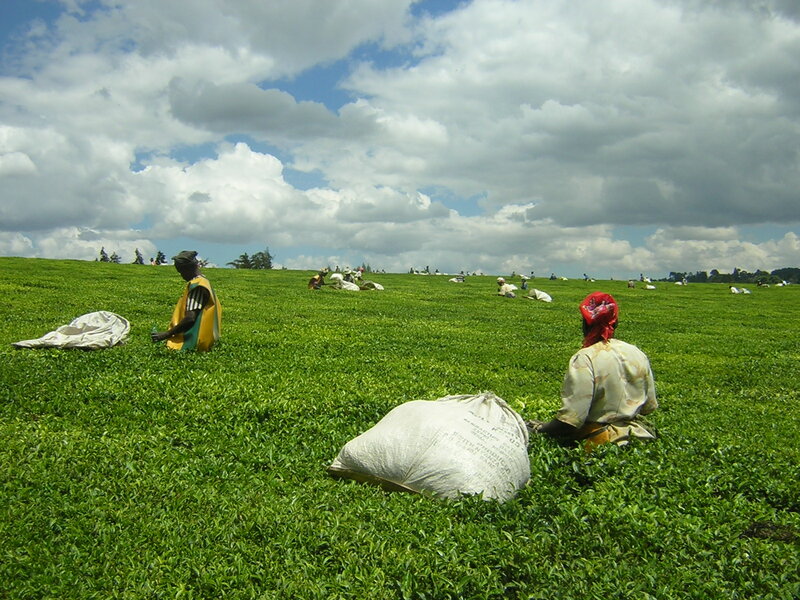 Three hours east of the Mau Forest in Kenya lie the tea fields of Thika, home to the Makomboki Tea Factory, who produce tea leaves for well know companies such as Taylors of Harrogate in the UK. The Makomboki Factory, with help from the Taylors of Harrogate Company, recently decided to increase their focus on sustainability, specifically in their processing practices. Instead of burning firewood, the factory has turned towards the usage of briquettes. These briquettes are compressed pieces of combustible biomass material, in this case sawdust mixed with macadamia, cashew and rice husks, which can be used as a replacement to firewood. The sawdust is gathered from nearby lumber yards, reusing local waste and compacted using machinery donated by the Living Earth Foundation. The use of briquettes in the tea process is ideally suited. Given the high temperatures of the tea boilers in the factories, almost all of the briquettes are burned thus leaving extremely small amounts of carbon emissions to be released. Moreover, the low in moisture content makes them burn for longer and produce a consistent amount of heat. Just by switching to briquettes, the Makomboki Tea Factory is making strides towards reducing deforestation. Original fuel techniques in tea boiling used the equivalent of 30,000 trees in a six-month period. Consequently, the use of briquettes helps to save around 60,000 trees a year, all while cutting down the energy bills of the factory by almost half. Reducing waste, deforestation and carbon emissions; Makomboki’s switch to briquettes is helping more tea production towards more sustainable practices. Sustainable insulation hope to address the environmental problems of building today. Bad insulation in homes wastes energy. In the summer, they blast cold air only for the majority to escape. In regular homes, paper insulation is doing a poor job of maintaining the temperature. Pipes in homes and buildings are often not insulated up to code many times. According to the Heat and Frost Insulators, the average hospital has 13 miles of pipes, and about 10-13% are missing or damaged. The trend in commercial buildings towards designs that heavily favour glass and metal further exacerbates the loss of energy since massive amounts of heat from the reflection of the sun raise the temperature inside. Many people have tried to fix these problems and go greener by using spray foam instead of paper insulation. Spray foam has a much tighter seal and works better at keeping temperatures constant. However, according to Zehnder America, a lot of these spray foam techniques are not done correctly and sacrifice the comfort of the homeowner. Spray foam vacuum seals the house from top to bottom, limiting airflow and ventilation. Consumers, concerned over the chance of decreased ventilation, will often opt for paper over foam, choosing their own comfort over energy savings. The essential need to move towards green insulation in homes and reduce energy loss must be balanced with the occupant’s well-being if its to be more widely adopted. 1776, the incubator and seed fund based in DC, hosted Secretary of Agriculture Tom Vilsack for a discussion on food innovation. Given the host organization’s focus, the dialogue focused primarily around the role of technology in agriculture. Recent focus has been on the role of big data as a means to increase agricultural efficiency. Planting at the right time, on the right soil, applying exact amounts of water at key moments along the growth cycle can dramatically increase yields. To this end, the USDA is created database of all of their past research and information that will be open to the public with the hope that it can be used to finely hone techniques. However, part of his vision of how technology and innovation can increase farming productivity was to advocate for a wider adoption of GMOs. When questioned he responded “Asking me what I think about GMOs and what I think about organic is like asking me which son I love the most. I love them both equally”. He expressed his belief that the public outcry against them was due to a lack of a successful communications strategy by the agribusiness firms working in the field to convince the public from the beginning that they were safe to eat. On a more recent topic, when discussing the Dark Act, Vilsack felt that there was no need to demand mandatory labeling form products containing GMOs since they posed no explicit health-risk in the way that peanuts could to those with an allergy. To him, we need to use technology to solve hungry insecurity and that GMO provided a method to successfully do so. Period. These goals are not that far out of reach for China but, in order for China to stay true to their climate change targets, a massive infrastructure and business changes throughout the country will be needed. At the current rate, China is building two billion square meters of buildings every year and with a high growth rate, it is imperative for China to commit to becoming greener. By taking on these initiatives and adopting them whole-heartedly, their industries can improve their country’s reputation globally as a green power and not a polluting state. These targets set forth by China represent very realistic outcomes for the country if they remain committed and open to drastic change to help the nation on the road to a greener future. Each year, the USA alone wastes enough energy to cost around $2.2 billion, mainly due to the inability of people to stop wasting light energy. The yellow haze at night from lights in constant usage has disrupted the ability of hundreds of thousands of people to see the starry night sky above them. 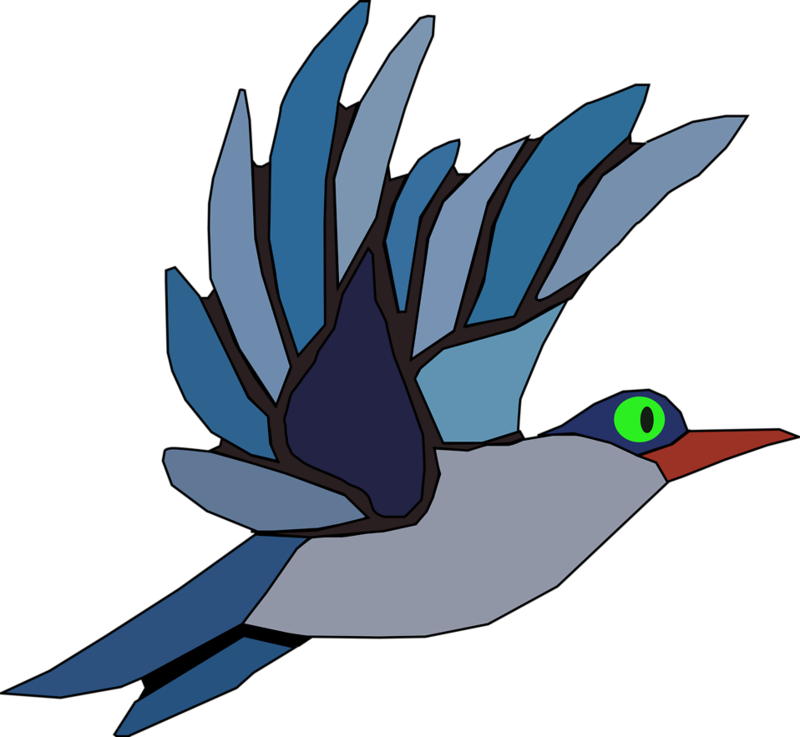 Worse still is the impact on wildlife behavior, specifically for migrating birds who navigate using constellations in the night sky. When outdoor lighting is in constant use, birds can become confused along their path, as the stars are no longer visible to them. The phenomenon, know as “fatal light attraction,” has led to the death of some 500 million to a billion birds a year across the U.S., who end up flying into building windows, walls or even the ground. Many places have started initiatives in order to reduce the amount of light pollution, including the state of New York. Governor Cuomo has started his Lights Out Initiative in 2015, which requires state-managed buildings to turn off non-essential outdoor lights from 11:00pm to dawn during the peak migration periods: April 15- May 31 and August 15- November 15. These buildings are also encouraged to use blinds to shield light and to also turn off all indoor light when not in use. The state has also proposed a new Public Building Law regulations, which would start later in the year and drastically decrease the number of outdoor lights being put on new buildings. The initiative in New York is a huge step towards decreasing the amount of light pollution in the skies and the resulting bird deaths. Though this initiative currently focuses on state managed building, Governor Cuomo hopes that the initiative will push other building owners to do the same. 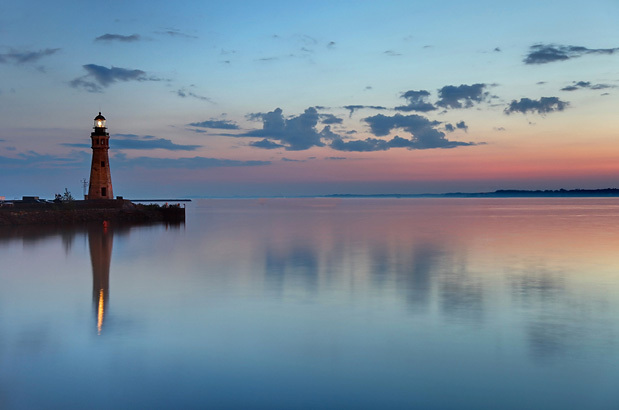 Other states have also joined in on this idea, including Minnesota, Massachusetts and Michigan, who all hope to similarly minimize light pollution during peak migration times. Though these practices hope to positively affect bird migration, it is also a general reminder of how human practices have effects on all natural things surrounding them. As a society, we have such a great impact on the environment and we often neglect our duty of care to the other species that we share this planet with. As part of the Coopeagri Agroforestry project set up by the World Bank, the Brunca region of Costa Rica is looking to re-establish the forest’s water-systems, which had been destroyed due to extreme overgrazing. Herds of cattle had been allowed to graze over the entire forested area, leaving behind very little and damaging their very important ecosystem. Under this new project, the Costa Rica aims to reestablish the forested areas, returning them to their former glory. In order to do this, farmers look towards agroforestry practices. In one cattle farmer’s land, living trees have been put in place to become a natural fence surrounding the property. Trees set up in rows are held together with barbed wire, to replicate a real fence. However, these live trees are much sturdier than normal fences, are rooted down and help fix nitrogen in the soil to maintain its richness. On another farmer’s property, trees are used as a way to shade coffee plants from the harsh sun. The trees also act as a barrier, absorbing the carbon in the atmosphere so that levels are kept under control. The leaves and barks of the trees nourish the soil as well, decreasing the need for fertilizers to bring nutrients to the soil. Such agro-forestry practices are not only of benefit to the environment but also the the farmer’s bottom-line. Feeding their livestock on the different varieties of nitrogen-fixing grass on their properties make the animals healthier and more robust since the grasses are rich in fiber and nutrients. Other money savers include the use of grey-water being used and vegetation along the banks of the springs work to prevent soil erosion. These simple practices allow the natural setting of the land to regain its shape and also maintain itself, while producing little to no harm to the environment through emissions. By using agroforestry practices, farmers are diversifying their lands, as well as making sure that land-use systems are sustained for years to come. Since the 1960s, Nigeria’s internally grown food supplies have been on the decline. Once a huge exporter of food, Nigeria has been required to import $3 billion of food annually, drastically hurting the lives of everyday farmers and in particular the country’s dairy producers. According to an Economist article, Nigerian dairy farmers have increasingly seen obstacles standing in their way from making a living. While the need for food is high, the availability of proper and affordable means of productio n is not. Many dairy farmers are struggling to meet the challenges where production per liter costs 30% more than in other countries. 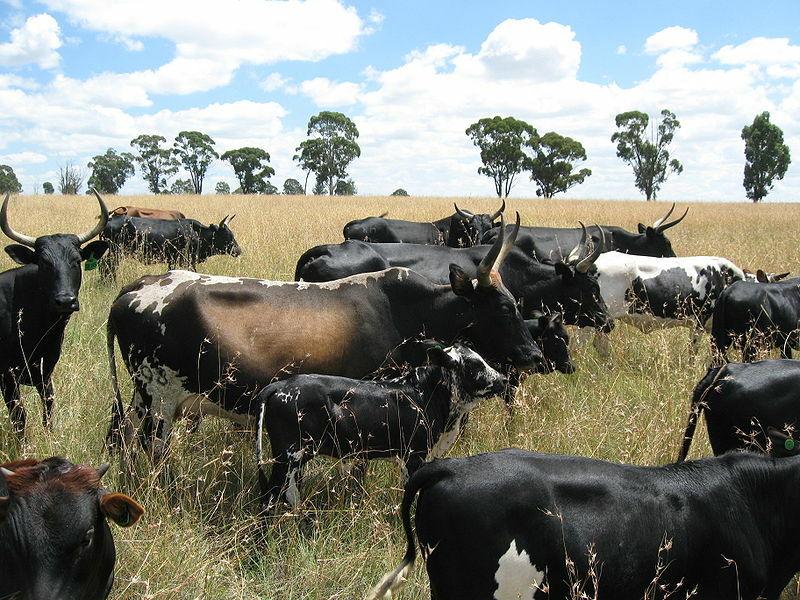 From growing feed in an arid climate to maintaining the health of the herd given their susceptibility to disease, raising dairy cows in Sub-Saharan Africa is no easy feat. Worse still, poor roads and long distances to Lagos result in high transportation costs, especially damaging given its perishability and lack of reliable refrigeration en route. Even when these farmers finally do get their products to markets, they are being outdone by the many imported alternatives that line the shelves (Nestle’s long-life milk for example) that considerably undercut the price of locally produced food. Recent agricultural reforms have attempted to address this tension and reduce the country’s import dependency. International supermarkets aim to give local farmers more opportunities to sell their products, boost local productivity and help local farmers get back on their feet. All while staying competitive. Additionally, Government investment has begun to subsidize domestic smallholder farmers in an attempt to increase the industry’s profitability and support the population who are overwhelming employed in the food industry. Perhaps, if these changes prove successful, the Nigerian farmers can hope to see an agricultural sector that is more profitable and catered towards the domestically produced dairy. Recently, Bangladesh decided to enter into the growing green sector and promote more environmentally-friendly practices in their textile industry. The Central Bank of Bangladesh is calling for drastic changes in how the textile industry both functions and manages its outputs. $500m has been set side to develop new eco-friendly technologies to green the sector. However, is this just another case of green washing? Or will true sustainability be achieved by the program? Bangladesh has seen a dramatic increase in GDP in the past two decades and the textile industry is the leading source of that growth, providing much needed jobs, especially to women. However, the environmental impact of this growth is huge. Globally, the textile industry is the second leading polluter. According to the World Bank, textile companies consume an annual amount of 1,500 billion liters of groundwater and have inadequate means of treating their waste grey-water. With the industry being so big and with the growing concern over safe environmental practices, the need for increased sustainability is absolutely necessary. It will just be a matter of waiting to see how it is implemented and whether it can successfully change industry-wide practices. Natural systems like the rainforests and oceans absorb and maintain stable concentrations of heat by trapping greenhouse gases in the atmosphere. Tropical rainforests cycle more carbon & water than most other biomes – critical to the planet’s energy system balance & climate. These systems are part of what gives us relatively stable weather patterns; not too hot, not too cold. These thermostatic functions are happening hand-in-hand with the planet’s daily rotation around the sun. Nighttime provides a chance to cool down temperatures and maintain temperatures that support life. Together, these constitute nature’s thermostat, keeping the planet temperate. There is, by nature (pun intended), a certain amount of resilience in these systems. Globally, G aia maintains the integrity of the overall life support systems in response to changing conditions. However, as we know, there are limits. For those who know the Easter Island story, the resilience of the system was surpassed. Deforesting the trees which were made into fishing boats and losing the tree vines used in fishing nets led to a sophisticated culture resorting to cannibalism in the caves. Is ours the next civilization to be wiped out? Is the economy surpassing nature’s limits? When economic activities crush against nature’s vital functions, the economy itself needs to have some effective thermostats. We desperately need to turn down or off certain economic activities so as not to surpass the planetary boundaries. We need this at several geo/economic levels such as bioregionally, nationally, and globally. My request to you is simple. If you discover a solution, shout it from the rooftops! If you uncover any salient writings on the subject, direct them my way. It is through collaboration and sharing information that we can being to right the ship. Labeling provides the consumer with information so that they can make the best decision for themselves and their families. It tells them what to buy and what not to buy. Now, unlike fifty years ago, cigarette packets come with a warning of damage that smoking inflicts and all US foods are required by the FDA now to list the calorie per serving for all to see. 210 calories for a Kitkat. 60 calories for VitaCoco water. Similarly, environmental labeling shows the impact of the product on the planet, allowing the consumer to, with a quick glance, see whether the product has the stamp of sustainability. One of the first countries to implement environmental labeling was Germany that established the Blue Angel label in 1977, now affixed to over 4,000 products. On a non-state level, several NGOs such as the UK’s Soil Association or WWF have created their own label for companies that meet their standards on issues like organic production or palm oil sustainability. However, in recent years, the international standard has become the Environmental Product Declaration (EPD), which provides consumers with detailed information on the environmental impact generated by specific products. Perhaps there is a way to make environmental labeling more transparent? By making it mandatory to list the carbon required to produce each good, consumers would be able to tell easily the level of environmental damage generated by each product and each brand. Displaying a clear unequivocal measurement of its carbon footprint would allow a quick and simple comparison by consumers. Companies could no longer get away with merely paying lip-service to their corporate social responsibility since the impact of its production would be there, in black and white, for all to see. In 2009, Californian State Representative Ira Ruskin sponsored a Carbon Labeling Bill to have California Air Resources Board (CARB) create a voluntary label stating the carbon footprint for all products sold within the state. It failed. However, its introduction shows that the conversation is starting. By establishing a federally regulated, mandatory, carbon-labeling for all products in the marketplace, consumers would be able to make informed decisions and companies would be held to account. Therefore just as soda can are required to detail the calories inside so should they be required to detail the carbon that was used to produce it. The food we eat and the way we farm has a direct link to climate change. Often politicians and the general public miss the dramatic impact that agriculture has on the planet’s temperature and focus on fossil-fuels and energy-consumption. However, the devastating impact that meat and dairy production has on the planet is considerable and the statistics speak volumes. In 2013, the FAO found that 14.5% of all GHGs come from livestock; a figure only set to grow since, according to the EPA, by 2030, 21% of non-carbon greenhouse gas emissions will come from livestock. Adopting higher standards for how we raise cattle would have an impact and we can reduce methane emissions through better farming practices. But is this enough? With a booming population and growi ng demand for beef, the industry’s potential impact as a driver of climate change will be considerable. Heightening this, is the increasingly global nature of the problem. The average American eats around 75lbs of red-meat a year. If the growing Chinese middle-class develop a taste for steak as the American middle-class has, consumption will sky-rocket. This growth in demand would lead to more intensification, more land being converted into feeding pasture and more emissions into the atmosphere. Does that mean that we need to look elsewhere for our protein? Other cultures have a more holistic approach to butchery. Liver, kidneys, tongue have graced European tables for centuries and have become increasingly fashionable in recent years with chefs like Fergus Henderson making it the centerpiece of their menus. Eating more of the animal does reduce waste and can help limit the number of cattle needed but can we go beyond that? Insects are quick to raise, take up little space and are high in nutrients. According to FAO,1,462 species of insects are edible and when sautéed become quite delicious. The question is can the average consumer set aside their squeamishness and accept bugs in their Bolognese? The Asian Infrastructure Investment Bank (AIIB) is a multilateral development bank proposed by China and officially established October 24, 2014. The Chinese government formed the Bank due in part to the acute need for infrastructure development in China and throughout Asia, but also in order to establish a rival for the IMF, World Bank, and Asian Development Bank (ADB), which China has long complained are dominated by American, European, and Japanese interests. Beyond emphasizing the need for infrastructure development in the region, the new Chinese Bank has yet to develop a formal mission statement, which it says will be established through a participatory process by all the founding members. Together, they will determine the core philosophy or the Bank, its principles, policies, value system, and operating platform. The Bank has states that the “modus operandi will be lean, clean, and green. The US has lobbied its allies not to join the AIIB. However, it has had little success in stopping countries signing up. Australia and South Korea both officially applied to join the Bank in late March of this year. More concerning for the US was the UK announcement that it would lend money to the AIIB. Germany, France, and Italy followed shortly after with similar announcements. Just two weeks ago, German Chancellor Angela Merkel called upon Japan to join the AIIB as a founding member, a move that would no doubt infuriate, embarrass, and worry the US. On the second day of the ASEH Conference, Foundation Earth attended the talk on the Environmental History of Capitalism. The panel spoke on the idea that capitalism hides the true cost and the externalities in a language of business transaction. The boom of capitalism has always been connected with agriculture. Food supply-flows created the motivation for capitalism since food is the most basic good that consumers buy so it injects capital and creates demand. In 1800s, traders in London and Liverpool wanted to create a reliable supply of grain during a period of conflict and so built international links with the American Plains, transforming the landscape forever. 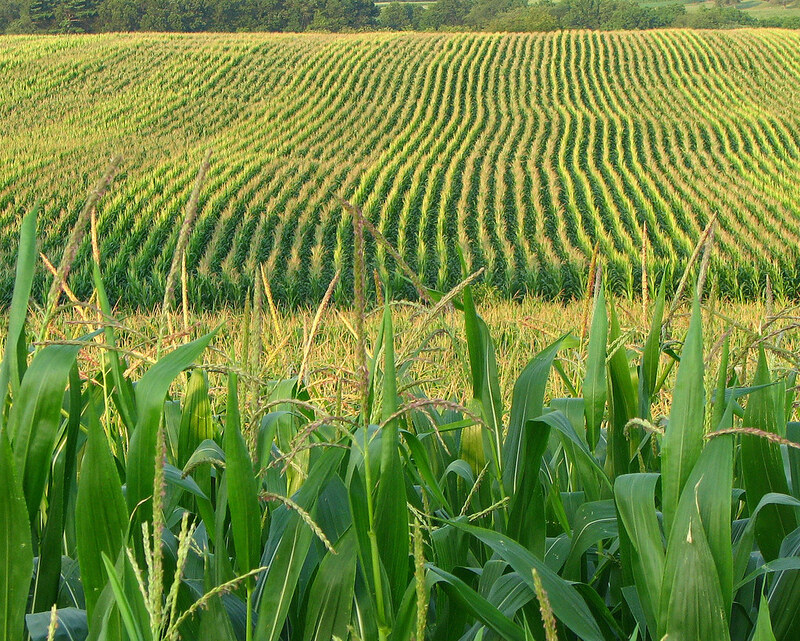 Consequently, capitalism has emerged from and is dependent on agriculture. Therefore, capitalism needs to be placed within the environment and the biosphere, rather than on top of it, smothering it. Prof. Hardin spoke on the historical application and adoption of pesticides in Senegalese cotton in the 1960s and 1970s. Despite the fact that agronomists and farmers understood the risks and negatives of pesticides and were strongly aligned with the traditional local small-holder farming approaches. However, they ultimately accepted the use of chemicals on their crops for “development” and the promise of wealth. The risks were worth it, especially when the pesticides were given out as a”gift” or heavily subsidized. When livestock and humans inevitably began dying from pesticide usage, the official European and company line was that the harm and collateral damage came from the misuse (either intentional or incompetence) and not the chemical itself. The risk was elevated because the spraying itself was not conducted by the farmer themselves but by migrant labourers from Mali who tended to be teenagers and therefore were mature enough to handle dangerous chemicals. Secondly, these sprayers did not have first hand training from the French chemical companies but rather the company taught the head of the village who then taught the labourers and therefore often didn’t understand the risk. Despite promises that the chemicals were kept locked up when not in use, the leftover toxins were frequently stolen for domestic usage. 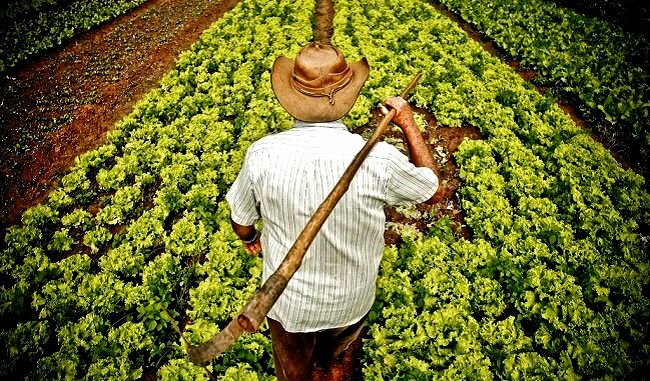 Despite decades of experiencing the poisonous effects of pesticides and being well aware of their dangerous nature, the farming community continued to employ them since it aided their economic success. The shift away from their usage came only in the 1990s when the pesticide subsidies were removed and the price of purchasing became too high for the average Senegalese farmer. Since the 1990s, they have tried to find a hybridization between the local methods and the industrial pest control in an attempt to move towards organic. Cotton production. They have attempted to create topical treatments for plants by creating concentrates from indigenous plants that had been traditionally used to drive away pests that can be sprayed on the crop. This new approach has had limited success thus far but will continue to be developed. Our friends down in New Mexico are fighting to stop the destruction of the Greter Chaco area and are petitioning for a moratorium on all Bureau of Land Management fracking in the area. They are asking us all to contact Senator Udall, Senator Heinrich and Congressman Ben Ray Lujan and to raise our voices. Thank you to our friends at American University and SUDECC for organizing the “Climate Change Policy & World Bank Safeguards” Panel Discussion. 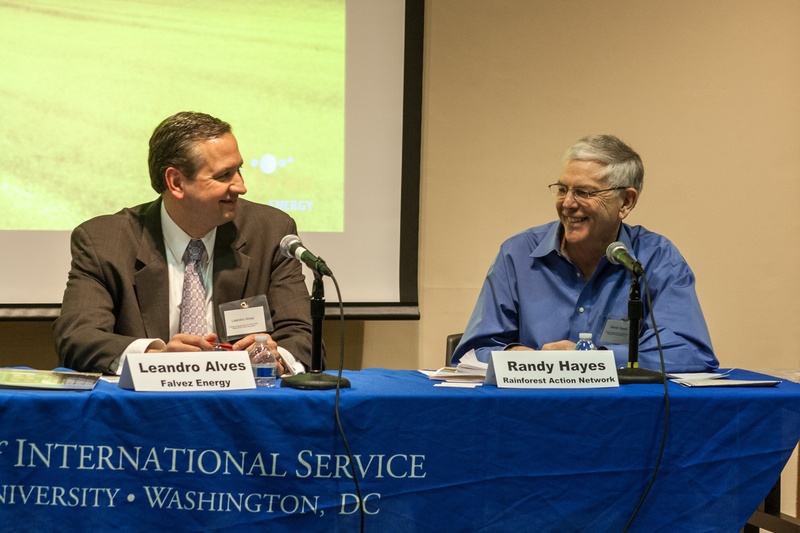 Randy spoke on the first panel with Yamide Dagnet from the WRI and Leandro Alves from Falvez on the issue of climate change and the essential steps we must take. Why Vertical Farms? Can resilient, regenerative agriculture refresh the ecological condition of our planet? It can: Why Vertical Farms?